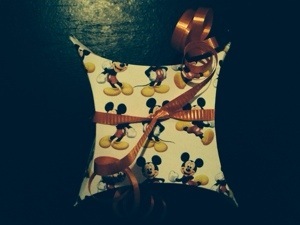 I made this super cute party favor box using some stuff you might have laying around the house. It’s much more economical than buying pre-made boxes from the party store! 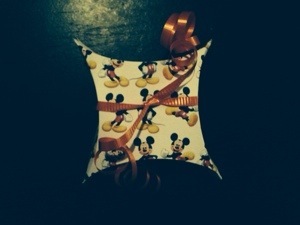 The boxes are small, but perfect for tattoos, stickers, or Hershey’s Kisses. 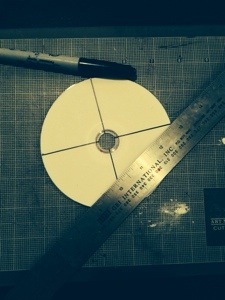 Start by drawing a line with a sharpie and ruler down the center of the CD. 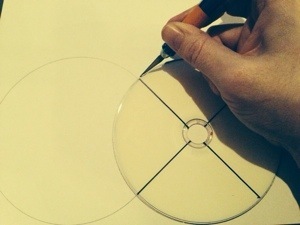 Draw another line to make an X on the CD. 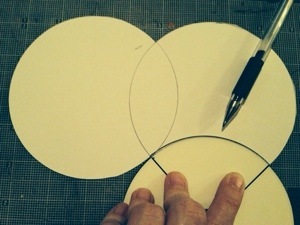 Use the guides on your cutting mat to help, if you are using one. 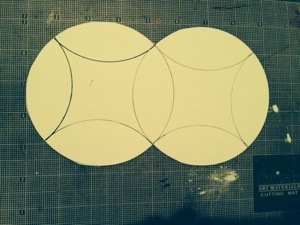 The lines have to be nearly perfect to make this project work well. My lines were slightly off, and though it wasn’t too noticeable, it bothered me. 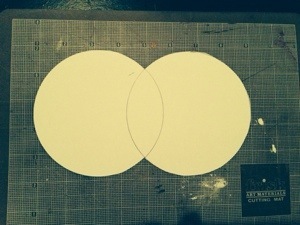 Next, grab your pencil and trace the CD on the backside of your scrapbook paper or card stock. 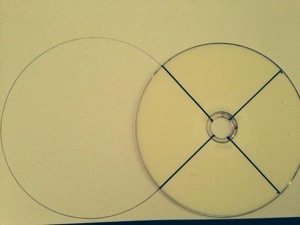 Move the CD over, and rotate to align the markings on the CD to the edges of the pervious circle. 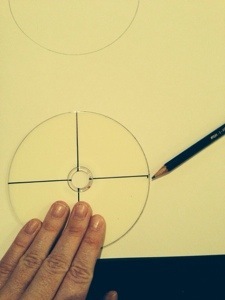 Place the CD on top of paper and with an Exacto Knife carefully cut out the half circle using the CD as your guide. 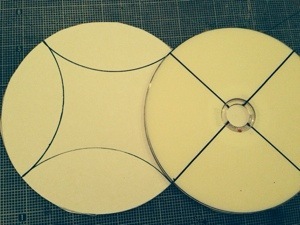 Now, starting at the bottom, align the CD to the edges. 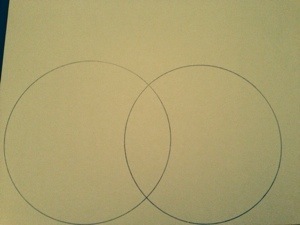 With an old ball point pen (it doesn’t matter if it works) draw around the CD over and over to burnish. 3-4 times should do the trick. Repeat all around both circles. 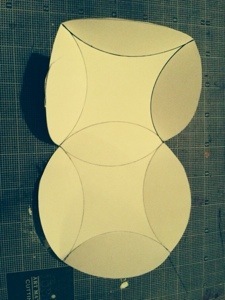 Next, carefully fold the burnished edges. I used a glue stick to glue the two sides to each other, leaving the end open. 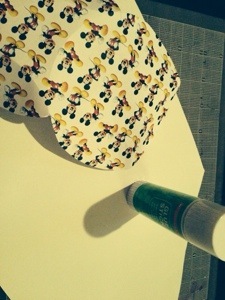 Add any small goodies like stickers or Hershey’s Kisses after the glue dries. 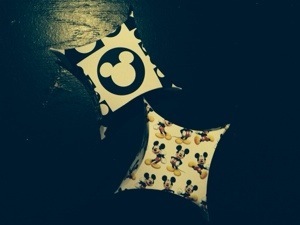 Simply fold the ends to close. 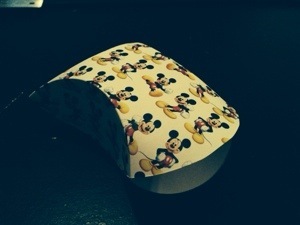 You may add ribbon if you wish.